Yes, it is compatible with both 1000Base-T and 100Base-T. I own the Mac Mini 2018 with 10 Gbps option and have tried both configurations in practice. It doesn’t appear to be compatible with 10Base-T, but you’ll be hard pressed to find such equipment anywhere these days. It similarly describes that 100Base-T is a supported configuration, while 10Base-T is not. Look at the included table for instructions on which cable types to use for the various supported speeds. Eventually, this should be compatible with 100/1000Base-T but not 10Base-T. Very little currently available hardware works with only 10Base-T. I suppose if you needed to interface with a 10Base-T device, you could just use a 10/100Base-T switch between the devices. These type of switches can be purchase for under 10 USD. Not the answer you're looking for? Browse other questions tagged macos network hardware mac-mini ethernet . 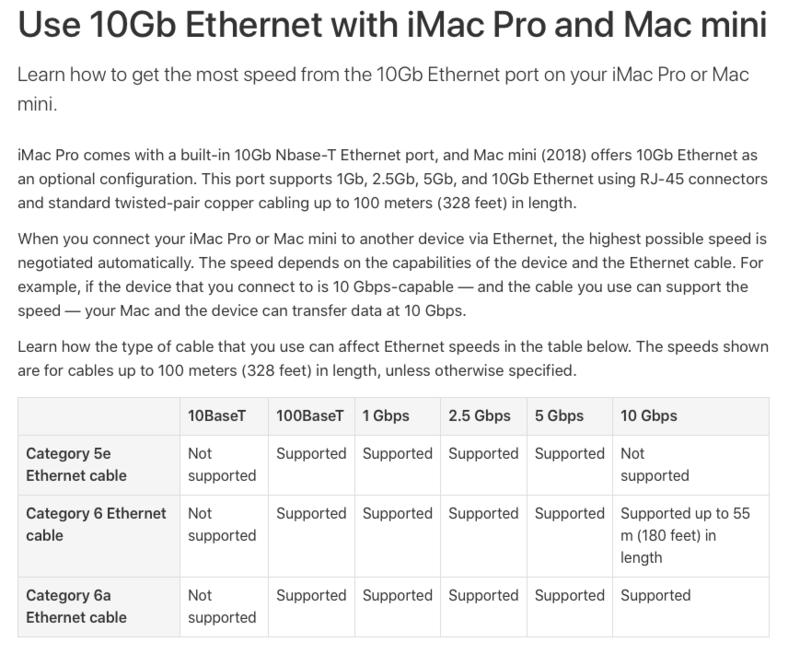 Mac mini ethernet speeds not gigabit?